The best way I know how to take in a new city is by wandering. Bogota is quite vibrant and there is an energy to it that makes you feel like you are walking through a movie - incredible murals are dotted throughout the city, dancers perform in the malls and public thoroughfares, people swarm every which way through the streets. Angelica and I walked and talked, stopping to observe a little here and there, but mostly talking. 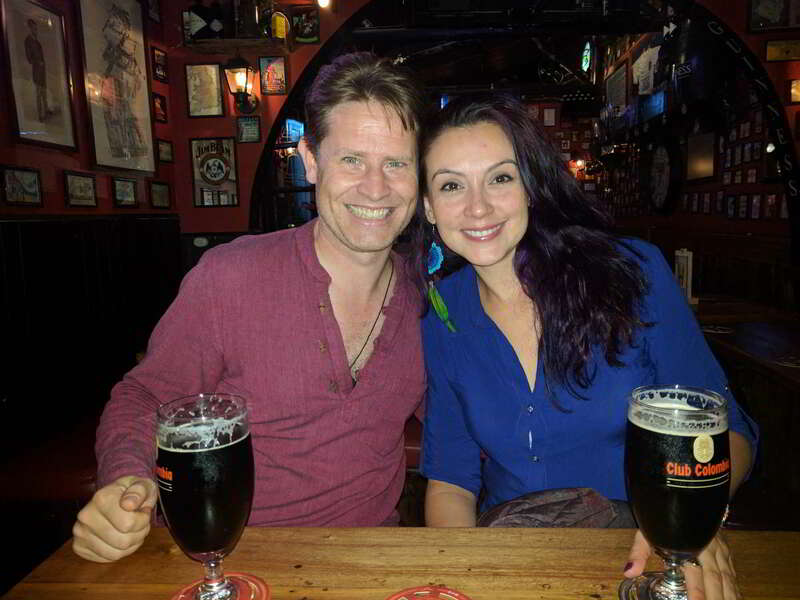 We stopped a while at Bogota Beer Company and tried a few beers, which I think make the best beers in Colombia (but that is another post). We were joined by a frind of Angelica’s before heading off to another bar and meeting more, then finished the night at a party where I met more of her friends, including a number of French expats who are part of a growing community here. 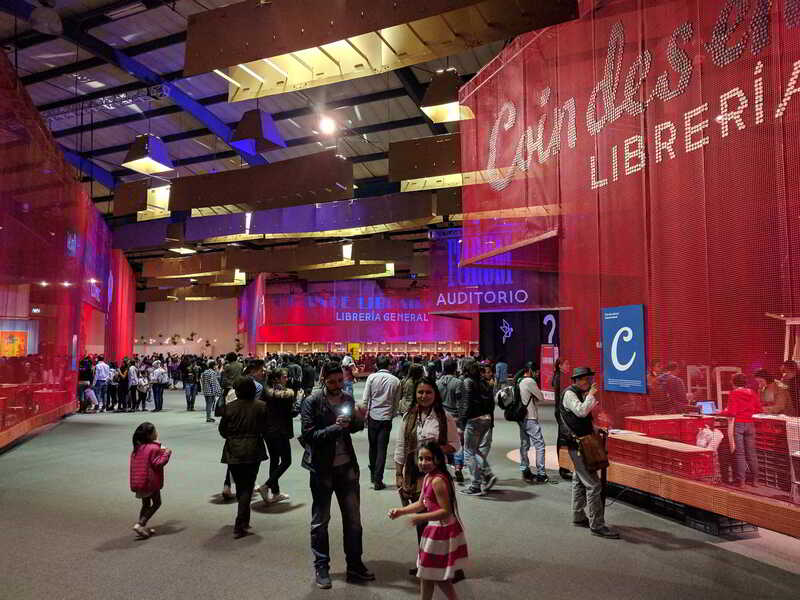 The following day, we went to the Book Fair of Bogota (FILBO). When Angelica suggested it, I thought it would be an interesting way to get a feel for the culture of Bogota. Filbo is a massive event consuming the entirety of the convention grounds – 8 multilevel warehouses, each themed – and it was filled with people of all ages. We were met by some of Angelica’s friends and spent the afternoon and evening wandering the event. It was a bibliophile and pop-culturist’s paradise. Everywhere there was something to catch the eye – second hand books, new editions, hardcovers, mass publications, textbooks, comics, art and artisanal products, government and educational displays, foundations and more. The sheer variety and volume of the fair was more than I expected, and far more diverse than anything I’ve seen in Australia. I think most of Bogotano society were reflected here and proudly. Once again I learned the lesson of my travels: Homogeneity of culture is a strange fantasy we indulge in; we are and always have been a collective of disparate and diverse people finding a consensus we call society. 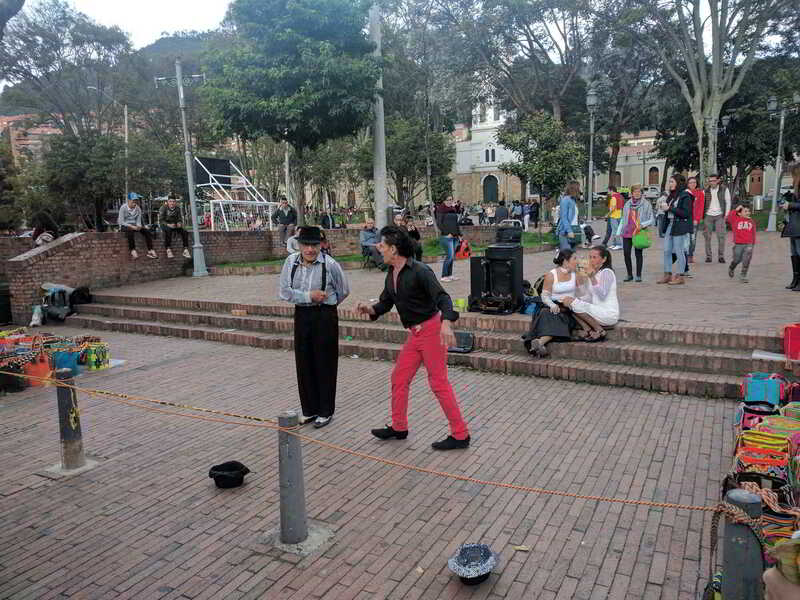 Usaquien, Street PerformanceMy final day in Bogota was spent visiting the markets of Usaquien. Usaquien was once a separate pueblo, but has been absorbed into Bogota as it grew. It is a beautiful part of the city, and the markets are part bric-a-brac and part artisanal. Another friend was meeting us here, so we went for coffee. At this coffee shop, I introduced Angelica to one of the great Australian cultural practices – The Tim Tam slam! She adored it, and why shouldn’t she? It’s great. Amistad, ColombiaThe rest of the day was spent walking the markets and talking, sharing a wonderful day. Towards the evening we stopped at ‘London Calling Pub’ for a quick bevy, where they had Cooper’s Pale Ale, a beer from Adelaide. So, I introduced my friends to a South Australian beer, which they enjoyed. Coopers is a very different style of beer to what is normally drunk in Colombia. It may not seem like I did very much in my days. I could have hit the clubs, explored the gastronomy, run around the city like mad man trying to see all the sights listed on Trip Advisor, but that’s just not my way. These few days were me living a non-romantic version of Before Sunrise (1995), which is my favourite way to explore – gentle meanderings through the unknown, learning through the lens of another. Bogotano ChichaColombia is a fascinating place, and Bogota (the capital) is no exception. I arrived late on Friday night after four flights and having my luggage routed to LA instead of with my flight to Houston and the paperwork associated with that. Needless to say I was pretty exhausted. I’d booked an Airbnb and was so thankful that they were so accommodating. Taxis and Uber make the city easy to get around, if you can find one (not a problem at the airport). JugglerOn Saturday I did what I love to do when visiting a new city, take a free walking tour. I used Beyond Colombia and we met at the Museo de Oro in the Candelaria district at 10am. There were around 15 of us, and our guide Angelica meandered the streets, explaining various sights in the city. The city is a strange melting pot of heritage from the colonial to the modern day, many of the streets and buildings have a tale to tell, whether of conquest, protest, revolution, liberation, corruption, change and all the blood that flows between. Like most places in the developing world, Bogota is a city that has been many things and is still figuring out its future. I thoroughly recommend taking the tour, and listening to a Bogotano tell you their story. BoteroA few highlights of the tour was stopping at a café near Chorro de Quivado (The original site of Bogota) for some Bogotano Chicha, which was a nice if slightly sour fruity drink made from corn. Visiting the Casa de Moneda/Museo Botero buildings briefly and seeing a piece of art by Botero which many believe has a double meaning (possibly triple) depending on the angle you view it. And then there are the hidden statues by Jorge Olava in the Candelaria that you have to be looking for to notice them such as the juggler, the shoe shiner, the soldier, the fishing boy, and more. After the walk I met the reason I was actually staying in Bogota, my friend Angelica. We had met years earlier on my previous trip to Colombia, where we had developed the start of a friendship, and we had arranged to meet again and hang out. We took my guide from Beyond Colombia and visited one of the best cafes I have been to in South America, Amor Patrio. This little café hidden on the first floor of an unassuming building in La Candelaria is an expression of love for coffee, books. The staff here are so passionate about coffee that they offer most preparations as well as a great range of beautifully roasted Colombian beans and more than happy to talk about the qualities of all of them. We chose to have a Single Origin Santander Ibrik (a Turkish preparation). Amor PatrioThe coffee was prepared in front of us, with a staff member explaining the equipment, ingredients and a little of the history of the preparation. It was almost performance art, as they gracefully prepared the coffee for us. Which is why, this is the café I recommend coffee lovers to visit during their stay. We stayed here for an hour or so enjoying our coffee, the atmosphere and talking before heading out to wander the city. 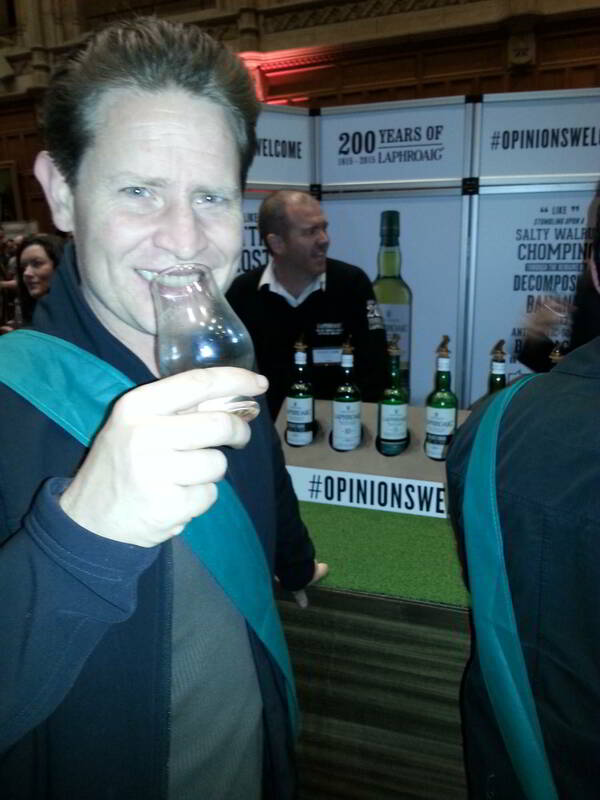 Whisky Live is an annual tasting event that visits the mainland capitals of Australia. This year I had the pleasure to attend in Adelaide at Bonython Hall. Tickets were $99 which include 3 hours of tastings including more than 70 whiskies from 20 plus labels from numerous locations. The event is also catered with the Small Food Catering Company providing a range of gourmet foods throughout (the best in my opinion was the exquisite cheese platters and honey, but there wasnâ€™t a single dish that disappointed). Bonython Hall is located at the Adelaide University, a great hall with high ceilings and beautiful wood panelling throughout. The hall was filled with vendors with a bar at the far end selling rare and vintage whiskies (at quite a price) and a few areas for catering. Water urns were placed throughout allowing you to cleanse your palate and glass with little difficulty. There vendors included the usual suspects - Scottish Single Malts such as Glenfidddich and Laphroig, Americanâ€™s like Jack Daniels and Makers Mark, Japanese providers Suntory and Hibiki, and Australian Starward to name a few, as well as a variety of smaller distilleries and newly released whiskies. The variety was such that deciding what to taste is quite the challenge. Whiskey is a divisive topic, even amongst whiskey connoisseur, and in Australia the debate has increased as more whiskies become available. There are two main distinctions for whiskey â€“ Malt or Grain â€“ that are then divided into Single Malt, Single Cask (or barrel), Blended Malt, Blended Whiskey, and cask Strength â€“ That are then divided by region of production. Iâ€™m a big fan of peaty Islay whiskies, but that doesnâ€™t mean I will only drink an Islay. Iâ€™ll take a Speyside, highland or lowland, Irish, Japanese, American or Australian. What matters most is that the whisky tastes good to me. I understand that sipping a beverage that tastes like a smouldering English village might not be to your taste but whiskey is so much more than just smoke, there is a cornucopia of flavours available in whiskey, the same as any other artisanal product, and that is precisely the intent of Whisky Live. Over the three hours a friend and I tasted 43 whiskies served in 7.5ml shots (1/4 standard shot). If I were to describe all of them, it would take far too long and you would get bored. As such I will offer my opinion on a few, the Ugly, The Good and the Excellent. Appalachian Gapâ€™s Kaffekask and KaffevÃ¤nâ€“ I was really excited to taste these, a Swedish style blend of coffee and spirit. Two handmade drinks from Vermont, USA, the end product does not match the marketing. The Kaffekask has a very simple body and conveys very little of the infusion of coffee. It tasted more mid-process than finished product, with low complexity which tastes just like cheap alcohol. The KaffevÃ¤n was slightly better, being a liquor white whiskey but still lacked the complexity and while lower in alcohol still had the same limited palate. The good was a distiller called Bruichladdich whose whisky had some unique flavours. 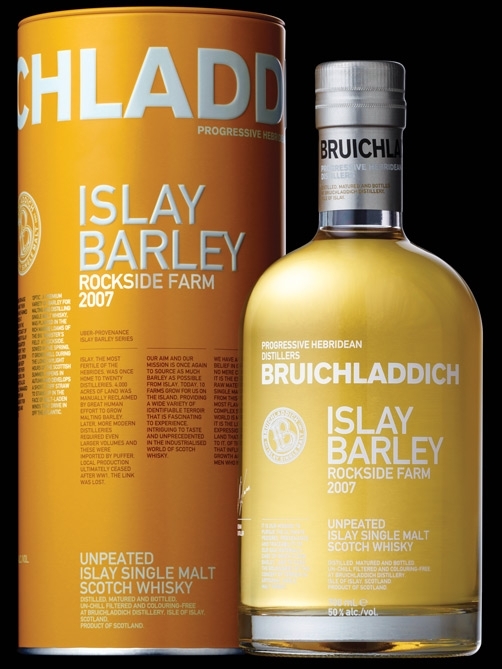 Bruichladdich takes the artisanal approach to whisky, producing a single source whisky called Islay Barley, and I had the pleasure of trying the 2007 with Barley from Rockside Farm. This is the third release of the series, with the barley for this whisky coming from the single farm, slow distillation for intensity of flavour. A lightly coloured whiskey, it has a range of floral notes, much more for an Islay than I am used to, with a lightly salted edge. For a young whiskey there is a lot of complexity to the palate providing a delightful experience. While this whisky isnâ€™t one that I would classify as a must have, it is a must try. Bruichladdich also offer the Octomore Scottish Barley whisky that hails as the most heavily peated whisky in the world. In its sixth release this is a very interesting experiment. I love the peatiness of Islay whiskies, and so I was very surprised by the mouth â€“ it started with a heady smoke which quickly gave way to salted caramelised fruits that continued well past the last sip. Starward is an Australian distiller that prides itself on experimenting with Australian produce and casks to produce a world class whisky. They had three on offer, so I tried them all. The Single Malt was young with rich fruit and floral notes, but a short and sharp mouth. The Wine Cask edition was a better whisky aged in Shiraz casks. It had a complex nose, was less floral and more robust malts that lingered in the mouth. The real joy was tasting their Project X â€“ a clear whisky experiment based on the idea that you shouldnâ€™t need colour to impress a good flavour on your audience. They were right, in my opinion it was like the best parts of the previous two whiskies had been combined into a good table whisky that is well worth a try. And to finish, Whisky Live offered me the opportunity to try a Glenrothes ladder. Glenrothes is a speyside distiller that provides a range of vintaged whisky. Speysides are generally full bodied sweeter whiskies and the Glenrothes range definitely fits that description. There were four on offer and I tried them all starting with 2001, a light and sweet whisky with light caramel overtones; the 1998, a well rounded good whisky, a peppered caramel that lingers; the 1997, ripe berries and spiced sparkle your senses and lightly singe the throat; and the 1995, a velvety whisky with honey notes that leaves you knowing youâ€™ve tasted it. 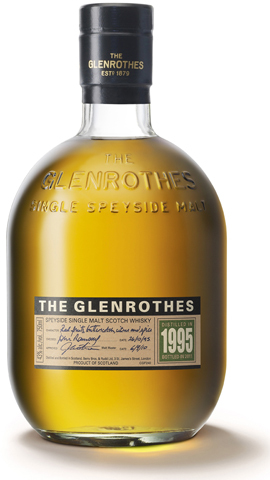 The beauty of the Glenrothes is that each vintage is different, and offers a great exploratory experience. It is where I would recommend a person to begin their foray into the whiskey world as it shows the complexities that whisky can achieve without shocking the system and potentially scaring the inductee. I was so impressed by the event that Iâ€™m eagerly awaiting next years to see what else I can try. On Friday night I had the pleasure of seeing the Bamboos play at the Gov in Adelaide. A little before ten the Bamboos took the stage and with very little preamble launched into S.U.C.C.E.S.S, also the opening track of their new album â€˜The Rules of Attractionâ€™. This marked the third time I saw them perform live. The Bamboos are a (currently) 9 piece Soul/Funk bank formed in 2000 and have released 7 studio albums. I came to the Bamboos late in their career with the release of their 5th album â€˜Medicine Manâ€™ in 2012 through a performance at the Gov. 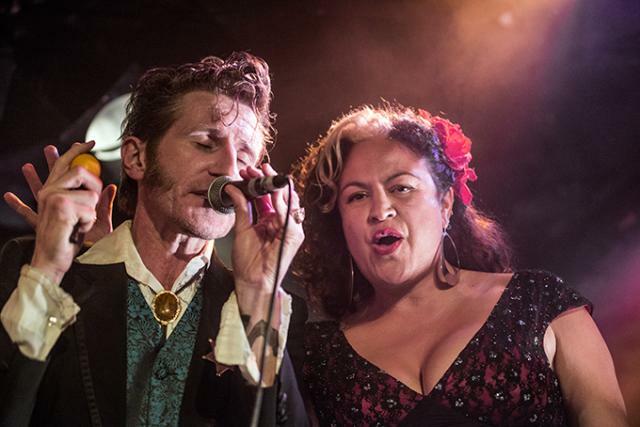 That performance and Album were enough to make me a fan and enticed me to see their 2013 tour at Womadelaide with Tim Rogers (You Am I). 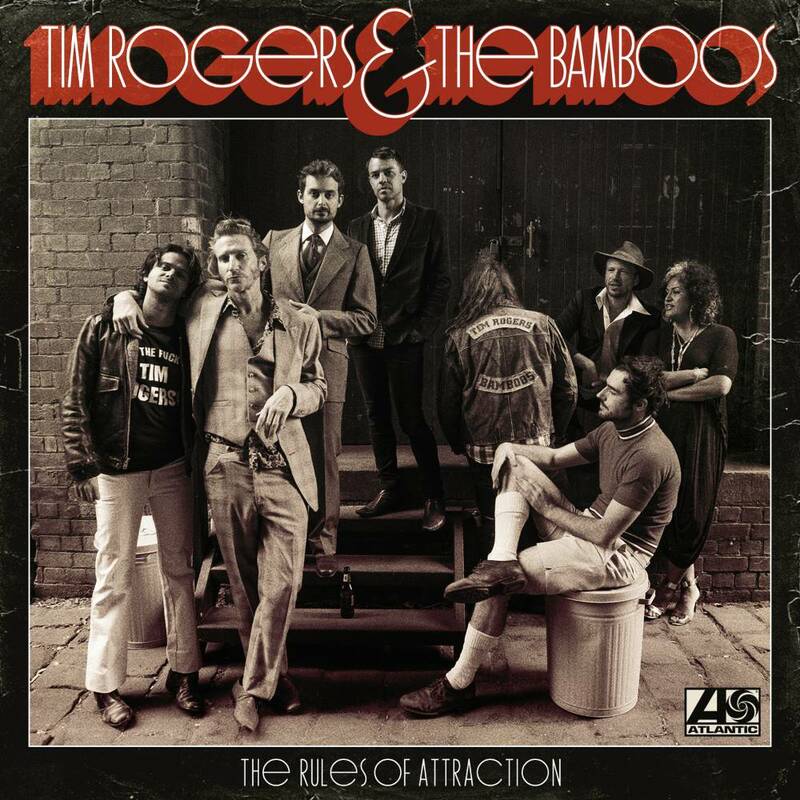 â€˜The Rules of Attractionâ€™ is their 7th Album, a full collaboration with Tim Rogers that is very catchy with some great beats that arise hours later as you are doing something else. The show was excellent, with vigorous and impassioned performances. Rogers dominated the show, leading the audience through the performance with his unique style. This is a double edged sword in my opinion as Rogers often drowns out the superb vocals of Kylie Auldist. Although there were a few tracks where Rogers left the stage and allowed the audience to witness her passionate soulful voice unhindered which almost stole the show. The Bamboos are one of those groups that engage the audience through performance, managing to keep most moving throughout without having to tell them â€˜get up and danceâ€™ or â€˜clap their handsâ€™. This is a great talent that I see very rarely in live gigs where bands seem to need to goad their audience into action. And that is why you canâ€™t deny the fun with songs like â€˜Lime Rickeyâ€™ or â€˜Easyâ€™, and when the band celebrates each member with a cascade of solos your hands just need to applaud. One of the things that you need to get used to is that The Bamboos are a band that experiments with their sound, and collaborate with a variety of artists, so you never quite know the show you will get, but you can guaranteed it will be a good one. Iâ€™ve been on the road now for around 5 months and I wonâ€™t be returning home for another eight months. The trip began with in Morocco with a tour, then we went to Spain and an experience living in Spain followed by an English language immersion week near Madrid. It was around this time that I started to notice a few things were changing but it only really sank in since visiting Brussels in May and has only been enhanced in the time since. When you start a trip like this, you have all the best intentions to see as much as you can and in my case write everything on the website for the world to see. You have your camera with you at all times and you take hundreds of photos, scribble notes hastily in your battered notebook in anticipation of documenting the entire experience. Each location offers an opportunity to tell the world how wonderful it is, how amazing it is to see these incredible cities and icons. 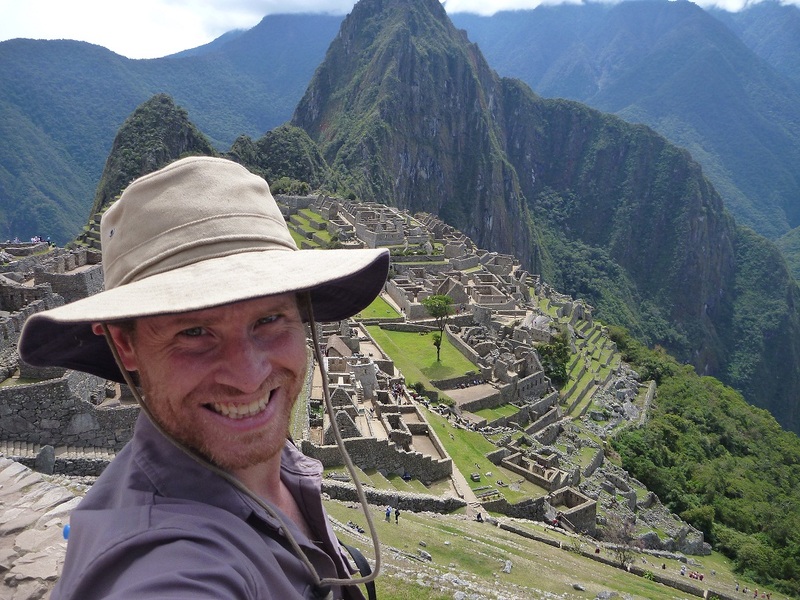 I have walked through so much history on this trip already, let alone my travels previously. I have seen literally thousands of pieces of art and so-called masterpieces. Hundreds of cathedrals, palaces, and castles. Dozens of festivals and events. After a while, each of these becomes just another along the way. True it may be in a different country but the glow begins to fade after the twentieth gothic cathedral. Believe me. And then it hits you, the moments that make you feel truly alive, is when you meet someone and share stories. The richest moments are not when you see a Van Gogh or walk the ancient cobblestoned streets of Toledo, it is when you stop, put down the camera, and sit a while with someone you donâ€™t know. Recognising these moments is difficult, but when you do, the rewards can be extraordinary. The relationships you develop along the road can be more intense than those you have with people you have known your entire life. There is only a small window of time to get to know this person, and so you dispense with the traditional conversation topics of day to day life and dive headlong into topics that you are each passionate about. You delve into the shaded corners of a personâ€™s soul with gusto, savouring their perspective and opinion as though it were fine wine. In the space of a few hours you can lay the foundation of friendship that could last your entire life, knowing full well that this may be the only time you have together. For a few brief moments the world becomes smaller and vastly more intricate as you glimpse lifeâ€™s rich tapestry. These moments linger in your mind, enhance the experience, and provide for wondrous reflection throughout your life. 14 Query Types Logged, Sorted by Occurrences.